The fire was quickly extinguished but emergency services remained on scene and passengers have been safely evacuated from the terminal building and tarmac. 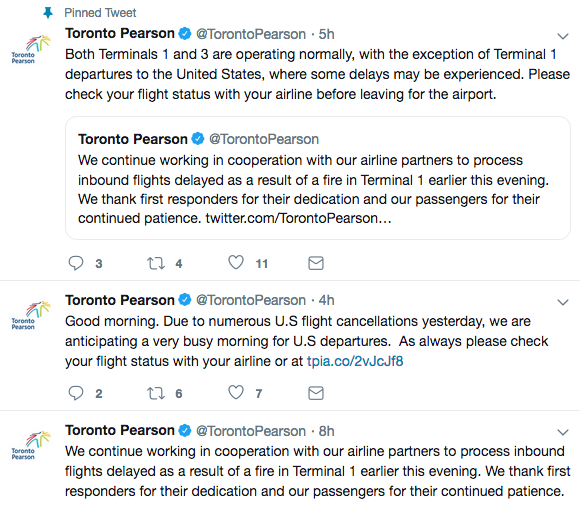 A fire at Canada’s busiest airport has led to cancellations, delays and several smoke related injuries. 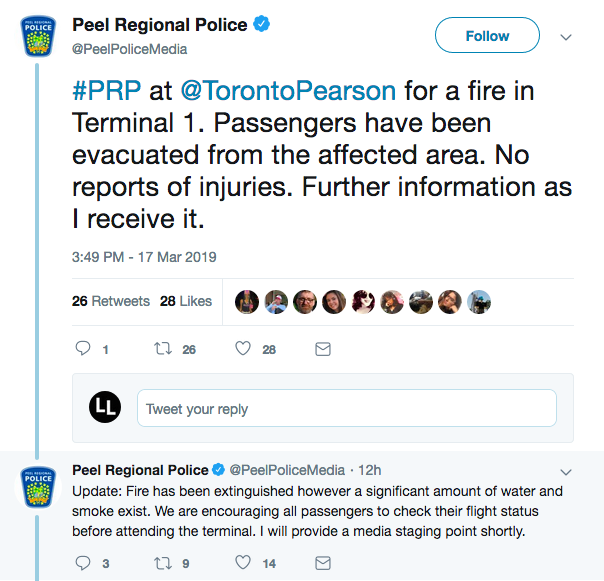 The blaze broke out Sunday evening in Terminal 1 at Toronto Pearson International Airport, leading airport authorities to evacuate the terminal and surrounding areas. 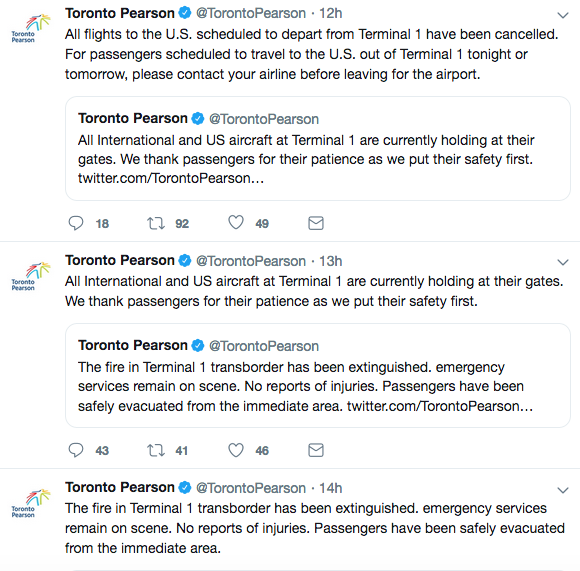 It was extinguished a short time later, but the airport decided to cancel all flights to the U.S. scheduled to depart from Terminal 1, which caused quite a bit of chaos. 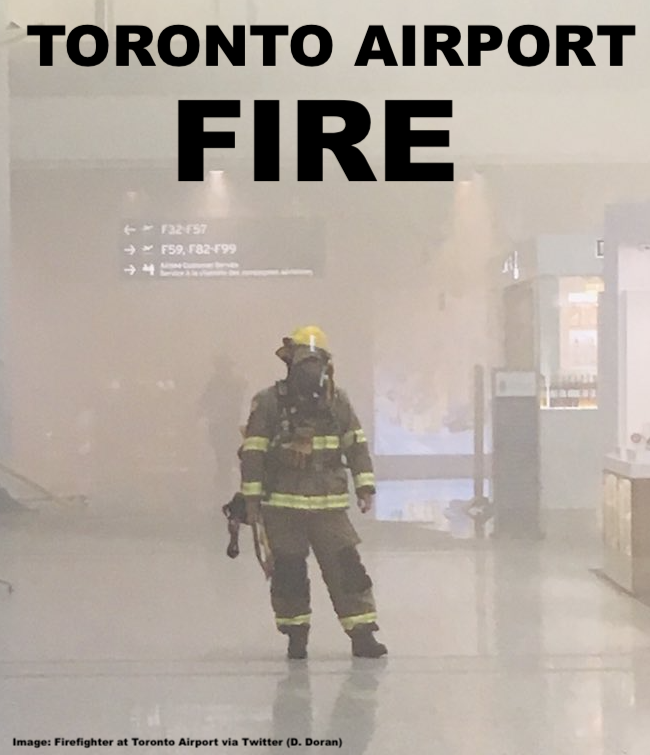 The fire appears to have come from somewhere in the duty free area behind the security checkpoint and no flames were visible to passengers. Nevertheless smoke is extremely dangerous, as the accident at Duesseldorf Airport in 1996 showed. 17 people died back then after fire and smoke spread through the terminal. Since T1 also includes the U.S. pre-clearance facilities passengers should have additional time for their U.S. bound flights.